TWO PEOPLE HAVE been killed and another two people have been injured after an avalanche on Ben Nevis mountain, Scottish police have confirmed. Emergency services were called to the incident on Britain’s highest peak shortly after 11.50am this morning. Police Scotland began to co-ordinate a mountain rescue operation following the incident which occurred at the Number 5 Gully area of the mountain. A police spokesperson has said; “Police Scotland is currently co-ordinating a mountain rescue response following reports of an avalanche on Ben Nevis this morning”. The Scottish Ambulance Service has said that it had sent an air ambulance, three ambulances and a trauma team to the peak. 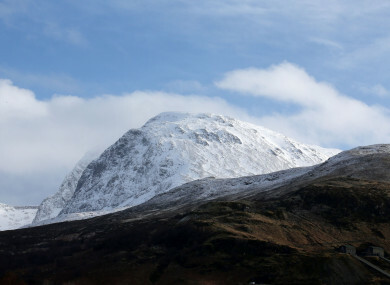 The Scottish Avalanche Information Service said yesterday that the risk of avalanches in Lochaber, where Ben Nevis is located, was “high”. Email “Two people killed in avalanche on UK's highest peak ”. Feedback on “Two people killed in avalanche on UK's highest peak ”.